Bringing amazing musicians to the New Jersey Area to broaden the variety of music events in the communities we live in. From vibraphones to saxophones, we strive to bring a variety of music styles into your life at fun and affordable events. As a keeper of the rhythm, Corcoran began his study of upright bass at the age of 10 with the renowned DC Youth Orchestra (DCYOP). Soon he learned that his great- grandfather, with whom he shares a birthday, was a bass player who grew up in High Point, NC and lived next door to a very young John Coltrane. Legend has it that he gave Trane music lessons. Corcoran feels called to the bass and his work is about honoring the ancestors. Currently, Corcoran leads his own group and is the regular bassist in the Kenny Garrett Quintet, which received a Grammy nomination for the 2013 recording “Pushing the World Away” recorded on Mac Avenue Records. Corcoran also works with numerous bands throughout the world and he is based in NYC and also serves as a djembe drummer/music therapist at Greater Harlem Nursing and Rehabilitation Center, where he plays for his elders. New York based guitarist Nelson Riveros is part of an emerging force of a new generation, of Contemporary Latin-Jazz artists. His Latin-Jazz debut CD titled 'Camino Al Barrio' peaked at #8 on the Jazz Week World Music Chart. He was nominated among his peers as 'Next Best Generation Artist' and Best Latin Jazz Guitar' for the 2010 Latin Jazz Corner Best of The Year Awards. Nelson has performed and recorded with Grammy nominated pianist Hector Martignon, Grammy-winning bassist John Benitez, Samuel Torres, Luis Bonilla, Alfredo De La Fe, Jeremy Wall of Spyro Gyra, Nicky Marrero. In 2014 he performed for the CD release concert of MISTS: Charles Ives for Jazz Orchestra, arranged and conducted by Dr. Jack T. Copper, featuring Luis Bonilla, Billy Drewes, John Mosca, Scott Wentholt, Jim Seeley,Ivan Renta, Vince Cherico and many others. Nelson an active teacher has been on the guitar faculty at the 92nd Street Y School of Music since 2005. Nationally acclaimed jazz saxophonist Nelson Rangell will perform at the Cranbury Inn on Friday, March 23, at 7:30 p.m.
Denver-based Nelson Rangell entered the jazz world in the late ‘80’s and, since then, has become a favorite. He is the fourth child in a musical family. His brother, Andrew, is a well-known concert pianist living in Boston; his brother, Bobby, lives in Paris and is a leading woodwind player in European jazz and studio scenes. His sister, Paula, is a professional singer living in New Orleans. Rangell first played flute at the age 15, and within months was studying both classical and jazz music at the Interlochen Arts Academy, a national camp for gifted music students. He went on to attend the New England Conservatory of Music in Boston. It will be a night of surprises. “Nelson Rangell creates the impression that anything is possible when he improvises,” says Flute Talk Magazine. Besides the alto, tenor and soprano saxophone, Rangell is proficient on the flute and piccolo—and even has whistling in his repertoire. With his discography of 17 CD releases, Nelson Rangell continues on his musical path with two new albums, “Red,” a collection of dedicated saxophone recordings in pop jazz and contemporary jazz and “Blue” which features the flute and piccolo. 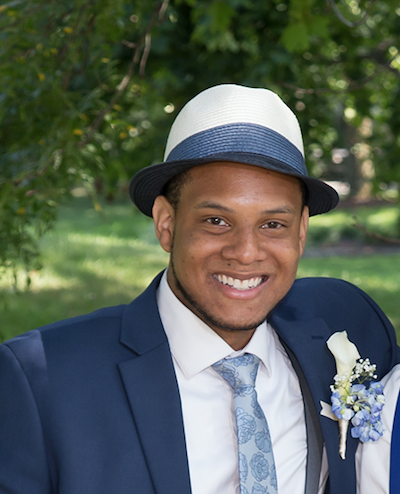 Aaron Quarterman studied music at Bucks CCC & Jazz Studies/Performance at Temple University. He plays the sax. Dr. Estrada received her higher education in the U.S. She participated in summer music festivals like Texas Christian University-Cliburn Piano Institute, and music competitions including the Music Teachers National Association in which She received the 1st prize representing the state of Louisiana. Angy Estrada & The Latin Pulse is releasing a new Latin Jazz album, Latin Pulse on November 17th, 2017. Angy Estrada integrates an authentic sound in Jazz while preserving her rhythmic piano solos and a glimpse of classical artistry. Her original Latin Jazz compositions innovate each tune providing a taste of other genres like R&B, Salsa, Cha-cha-cha, Bossa Nova, Spanish Music and the Latin American Folklore. Certainly, the listener can enjoy an array of cultural diversity and Jazz improvisation! Jerry has performed with world-renowned guitarist Martin Taylor at a variety of venues, including The Strand Theater (May 2013), Chico's House of Jazz (June 2011), and the Middletown Arts Center (2008 and 2010). Jerry also opened for David Benoit at the Count Basie Theatre in July 2007 and recently returned from well-received performances in St. Martin/St. Maarten at the elegant La Samanna resort and the eclectic beach club Karacter. Drummer, educator, clinician, author and health coach, Shirazette Tinnin was born and raised in North Carolina. Her earlier influences gospel musical would eventually expand into jazz, soul,rock, and music from many parts of the African diaspora. Shirazette resides in New York City but is frequently on tour with premier bands such as Tia Fuller Quartet, The Mimi Jones Band, Nicole Mitchell's Black Earth Ensemble, Women of the World Ensemble, Gabriel Algeria Afro Peruvian Sextet, Allan Harris Group, Camille Thurman, and many others in addition to leading her own group, "Shirazette and Sonic Jazz Ensemble Experiment". Formally known as The Shirazette Experiment. Victor Provost is widely regarded as one of the world’s leading voices on the unique, and often misunderstood, steel pan (or steel drum). Through appearances at concert halls, clubs, and stages throughout the world, he has been meticulously developing a reputation as a “dazzling” soloist, crafting an impressive improvisational voice and style. With a strong foundation in Bebop, a contemporary sensibility, and deep roots in Caribbean music, he seamlessly melds and mixes genres. The Washington D.C. City Paper’s “Jazz Percussionist of the Year” six years running, his new recording Bright Eyes debuted at #5 on the iTunes Top 40 Jazz Charts and has been met with praise from The Washington Post, Downbeat Magazine, and Hot House Magazine, as well as artists and presenters. We are all Transient Beings. As far as we know, all beings on this earth have a temporary existence on this planet in our present form. This common fact unites us all, because it is just one of the many things we all share. Thus, we're all together in that sense. When drummer E.J. Strickland founded the electric group Transient Beings in 2015, it was his intent to unite everyone through the music in that same sense. This group's sound is one that can be appreciated by all. This music has uplifting & insightful lyrics that speak to the human condition. Jazz, Afrobeat, Hip Hop, Funk, Fusion, etc. You'll hear it all in this music! Part of what gives this group it's unique sound is it's instrumentation. There are vocals that often times have effects throughout. There are 2 guitars which play different but equal roles in the group: one may play 2nd line harmony or counter melodies while the other plays more of a rhythmic or atmospheric role. There's an electric bass always providing a funky foundation and movement. And, finally the drums which provide a series of grooves without losing interaction with a jazz sensibility. Guitarist Pat Metheny says, "[Scott] has found a place for himself within the elite community of New York jazz musicians, no small feat." Proven To Defy Genres And Labels, this young harpist plays in a style reminiscent of Dorothy Ashby and Alice Coltrane, yet has developed a beautiful, fresh sound all her own. A New York native, Brandee Younger has made her mark as a unique artist having worked with jazz royalty including Ravi Coltrane, Jack Dejohnette, Reggie Workman, Charlie Haden, Bill Lee and Butch Morris, as well as Grammy winning Hip Hop/ R&B producers and artists such as Ms. Lauryn Hill, Common, Ryan Leslie, John Legend and Ski Beatz. Mark Whitfield graduated from Boston’s prestigious Berklee College of Music, the world’s foremost institution for the study of Jazz and modern American music in the spring of 1987. Shortly thereafter, he returned to his to his native New York to embark on a career as a Jazz Guitarist that afforded him the opportunity to collaborate with legendary artists including Dizzy Gillespie, Art Blakey, Quincy Jones, Ray Charles, Herbie Hancock, Carmen McRae, Gladys Knight, Burt Bacharach, Jimmy Smith, Clark Terry, Shirley Horn, Wynton Marsalis, Branford Marsalis, Joe Williams, Stanley Turrentine and his greatest teacher and mentor George Benson. Shamie Royston, pianist, composer and educator is a unique musician in her own way. Shamie's exquisite style of piano playing combines a traditional and contemporary sound embodied by a soulful spirit. Shamie's ensemble will include her younger sister Tia Fuller on alto sax, drummer Billy Kilson, Yasushi Nakumura on bass, and Arnetta Johnson on trumpet. Tixier, at the age of six, started studying classic piano and, at seven, made his first stage appearance. For the next 14 years, he studied choral, classical harmony and counterpoint, writing and composition, and graduating with honors. Whether you’ve heard guitarist Dave Stryker fronting his own group (with 25 CD’s as a leader to date), or as a featured sideman with Stanley Turrentine, Jack McDuff, and many others, you know why Gary Giddins in the Village Voice calls him “one of the most distinctive guitarists to come along in recent years.” He was recently voted once again one of the Top Guitarists in the 2014 Downbeat Critics and Readers polls for the 7th time. His most recent CD “Eight Track” was also picked as one of the Top Albums of 2014 in the Downbeat Readers Poll. An excellent vibraphonist who also takes R&Bish vocals, Monte Croft had a fine Columbia release in 1989 and a more commercial follow-up the following year but has maintained a fairly low profile ever since. Charnett Moffett peformed for REJS March, 31 2017. 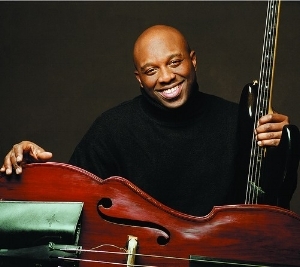 Mr Moffett is an American jazz musician and composer known as an innovator and virtuoso who plays piccolo bass, double bass, and bass guitar. He currently leads his band Nettwork. Moffett started playing bass in the family band, touring the Far East in 1975 at the age of eight. In the mid-198Charnett Moffett peformed for REJS March, 31 2017. Moffett started playing bass in the family band, touring the Far East in 1975 at the age of eight. In the mid-1980s he played with Wynton Marsalis and Branford Marsalis. In 1987 he recorded his debut album Netman for Blue Note Records. He has performed and recorded with Alex Bugnon, Art Blakey, Arturo Sandoval, Babatunde Lea, Courtney Pine, David Sanborn, David Sánchez, Dianne Reeves, Dizzy Gillespie, Ellis Marsalis, Frank Lowe, Harry Connick, Jr., Herbie Hancock, Jana Herzen, Joe Henderson, Kenny Garrett, Kenny Kirkland, Kevin Eubanks, Lew Soloff, Manhattan Jazz Quintet, McCoy Tyner, Melody Gardot, Mulgrew Miller, Ornette Coleman, Pharoah Sanders, Sonny Sharrock, Stanley Jordan, and Wallace Roney. Charnett Moffett attended Fiorello H. LaGuardia High School of Music & Art and Performing Arts in New York City and later studied at Mannes College of Music and the Juilliard School of Music. In 1983, he played on saxophonist Branford Marsalis' debut as a leader, Scenes in the City, and the following year he joined trumpeter Wynton Marsalis’ quintet, appearing on 1985's acclaimed Black Codes (From the Underground). During the 1980s, Moffett also worked with Stanley Jordan, appearing on the innovative guitarist's best-selling 1985 Blue Note debut, Magic Touch, as well as two Blue Note albums with drummer Tony Williams’ quintet: 1987's Civilization and 1988's Angel Street. In 1987, Moffett signed with Blue Note Records and debuted as a leader that year with his first of three albums for Blue Note, Beauty Within, which featured his father Charles Moffett on drums, older brothers Codaryl Moffett on drums and Mondre Moffett on trumpet, Kenny Garrett on alto saxophone, and Stanley Jordan on guitar.0s he played with Wynton Marsalis and Branford Marsalis. In 1987 he recorded his debut album Netman for Blue Note Records. He has performed and recorded with Alex Bugnon, Art Blakey, Arturo Sandoval, Babatunde Lea, Courtney Pine, David Sanborn, David Sánchez, Dianne Reeves, Dizzy Gillespie, Ellis Marsalis, Frank Lowe, Harry Connick, Jr., Herbie Hancock, Jana Herzen, Joe Henderson, Kenny Garrett, Kenny Kirkland, Kevin Eubanks, Lew Soloff, Manhattan Jazz Quintet, McCoy Tyner, Melody Gardot, Mulgrew Miller, Ornette Coleman, Pharoah Sanders, Sonny Sharrock, Stanley Jordan, and Wallace Roney. Charnett Moffett attended Fiorello H. LaGuardia High School of Music & Art and Performing Arts in New York City and later studied at Mannes College of Music and the Juilliard School of Music. In 1983, he played on saxophonist Branford Marsalis' debut as a leader, Scenes in the City, and the following year he joined trumpeter Wynton Marsalis’ quintet, appearing on 1985's acclaimed Black Codes (From the Underground). During the 1980s, Moffett also worked with Stanley Jordan, appearing on the innovative guitarist's best-selling 1985 Blue Note debut, Magic Touch, as well as two Blue Note albums with drummer Tony Williams’ quintet: 1987's Civilization and 1988's Angel Street. In 1987, Moffett signed with Blue Note Records and debuted as a leader that year with his first of three albums for Blue Note, Beauty Within, which featured his father Charles Moffett on drums, older brothers Codaryl Moffett on drums and Mondre Moffett on trumpet, Kenny Garrett on alto saxophone, and Stanley Jordan on guitar. The late great jazz trumpeter Miles Davis said Sonya’s playing is reminiscent of Stuff Smith and Ray Nance, two of jazz’s legendary violinist’s. Robinson is a gutsy player with a beautiful sound and a fluidity that displays her technical finesse. Fans of Sonya have literally jumped out of their seats upon hearing the excitement that Sonya generates with her violin playing. They feel the raw emotion within her music. Yvonnick Prene has called New York home since 2007, but jazz fans in and around the Big Apple and beyond can be forgiven if they lacked awareness about his harmonica skills until more recent times. His first album—the inviting Jour de Fête (SteepleChase Records, 2013)—took a while to arrive, so the only way to learn about Prene prior to 2013 was through word of mouth or a chance live encounter. Now, judging from his recent output, it appears that he's making up for lost time. Two more albums—Wonderful World (Self Produced, 2014) and Merci Toots (Self Produced, 2015)—came in quick succession after his debut, a full gigging calendar in the past few years has kept him in the public eye, and a flurry of writing and publishing activity has produced a good number of jazz harmonica educational publications from this rising star. And now there's Breathe. 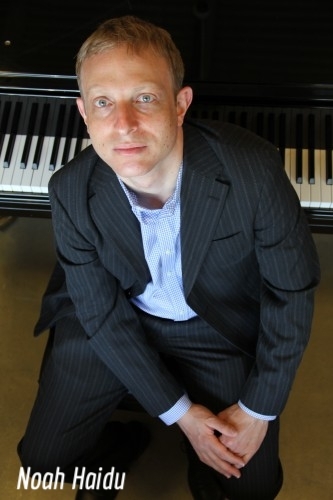 STEVEN FEIFKE IS A NEW YORK CITY BASED PIANIST, COMPOSER AND ARRANGER. A SELF PROCLAIMED "LOVER OF SOUNDS AND RHYTHM," THE 25 YEAR OLD IS KNOWN AROUND THE WORLD AS ONE OF THE MANY PROMISING YOUNG MUSICIANS OF HIS GENERATION. AS A PIANIST, FEIFKE MAINTAINS AN ACTIVE PERFORMANCE SCHEDULE BOTH IN AND OUT OF NEW YORK CITY AT VENUES LIKE THE BLUE NOTE, SMALLS JAZZ CLUB, AND DIZZY’S CLUB COCA-COLA AT LINCOLN CENTER, AND WAS A SEMIFINALIST IN THE 2011 THELONIOUS MONK COMPETITION. FEIFKE’S DEBUT RECORD “PEACE IN TIME” FEATURES HIS SEVEN PIECE ENSEMBLE, AND HAS RECEIVED MUCH CRITICAL ACCLAIM SINCE ITS RELEASE IN JANUARY 2015. FEIFKE CURRENTLY RESIDES IN NEW YORK CITY, AND HOLDS A BACHELORS DEGREE IN MUSIC AND A MINOR IN ECONOMICS FROM NEW YORK UNIVERSITY. A native of Ft. Worth, Texas, Rudy Royston was raised in Denver, Colorado. He began playing drums and percussion as a toddler, playing in church and along with an eclectic array of LPs his siblings would have on rotation. Rudy quickly integrated into the New York music scene, performing with world-renowned artists such as Javon Jackson, Bill Frisell, Les McCann, David Gilmore, Ben Allison, Jason Moran, JD Allen, Sean Jones, Jeremy Pelt, Greg Osby, Jennifer Holiday, Tia Fuller, Ravi Coltrane, Ralph Bowen, and many more. A lover of all genres of music, Rudy continues to expand his horizons as he gains increasing recognition in the world of Jazz. Born in Nice, France Thomas did not have to look far to discover his passion for music. His father a guitarist and his mother a radio host, Thomas grew up in a musical universe by spending much of his childhood in rehearsal space, jazz festivals and radio hall. 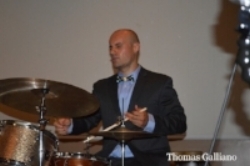 In 2011, Thomas made the move to New York City and has shared the stage with well recognized and respected musicians such as JD Allen, Dezron Douglas, Eric Legnini, Pierre De Bethmann, Eric Wyatt, Emanuele Cisi, Logan Richardson, Stacy Dillard, Benito Gonzalez, Ed Cherry and many others. 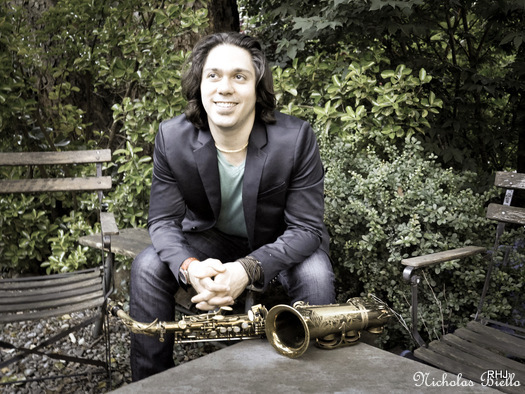 In demand as a composer and arranger, Nicholas has written arrangements that have been performed by artists such as Stevie Wonder, Dave Koz, and Kelly Rowland. His work has been televised on networks such as ABC and ESPN, and heard in venues in Las Vegas, L.A., and New York City. He has worked with members of the famed Apollo Theater house band in music composition and production. Nick's saxophone has been heard at venues such as the Blue Note, Dizzy's Club Coca-Cola at Lincoln Center, The Iridium, B.B. King's, The House of Blues in Chicago, The Paramount Theater, The Birchmere Theater, Smalls, Smoke and many more. August spans the jazz, Latin jazz, classical and avant-garde scenes. A sought-after composer and arranger, celebrated for his versatility, breadth and intelligence, Gregg has been an active member of the New York music scene for over ten years. August has played with Ray Barretto, Ornette Coleman, Paquito D’Rivera, Arturo O’Farrill, James Moody, The Chico O’Farrill Big Band, The Lincoln Center's Afro Latin Jazz Orchestra, and Ochun among others. Gordon James has been categorized with other Jazz heavyweights such as: Chris Botti, Rick Braun & Greg Adams. Stylistically, he has been compared to: Chet Baker, Miles Davis & Chuck Mangione. Gordon has appeared with or opened for such artists as Roy Aryes, Angela Bofill, Bobby Caldwell, Alex Bugnon, Pieces of a Dream, Chuck Loeb, Cassandra Wilson and others. Born in East Baltimore, Maryland, Steve grew up cultivating a deep love and respect for jazz music, picking up the sax at age seven. He attended the Baltimore School for the Arts, then went on to graduate from Frederick Douglass High, a school with a rich musical legacy whose alumni include Cab Calloway, Eubie Blake, and Ellis Larkin. His early influences were John Coltrane, Charlie Parker, Grover Washington Jr., Hank Mobley, and Freddie Hubbard. While in New York, Steve sat in with the the likes of the late Elvin Jones, Joey DeFrancesco, Jeff “Tain” Watts, Wynton Marsalis, Wessel “Warmdaddy” Anderson, Eric Lewis (ELew) and Chick Corea. He is close friends with his mentor Kenny Garrett. As leader of his own quartet, Steve has opened for jazz giants Abbey Lincoln, Lionel Hampton, and Stanley Turrentine. Sarah Elizabeth Charles is a rising vocalist/composer based in New York City. She has worked and studied with artists such as George Cables, Geri Allen, Nicholas Payton, Sheila Jordan, Jimmy Owens and Carmen Lundy and released her debut record, “Red” in September of 2012 with her band SCOPE. As the active vocalist in a number of bands (including AJOYO, Manner Effect, Transient Beings and Enoch Smith Jr.’s “Misfits”), Sarah has performed at many venues throughout her career. These venues have included The White House, Gillette Stadium as a National Anthem singer for the New England Patriots, the Bern International Jazz Festival in Switzerland, the Port-au-Prince International Jazz Festival, The Kennedy Center, the Blue Note in New York City, the Pittsburgh JazzLive International Festival, the Burlington Jazz Festival, the Apollo Music Café, Blue Note NYC, Le Poisson Rouge, Dizzy’s Club Coca-Cola and the Rose Theatre with Jazz at Lincoln Center. Born and educated in Princeton New Jersey public schools. During my childhood I was exposed to R&B while listening to WBLS and WABC radio. My mother played 45’s listening to Erroll Garner, Miles Davis, and ballads from the likes of Sam Cooke, Nat King Cole, and Johnny Mathis. One of my favorite groups are The Crusaders. In the 70's I acquired a large record collection which led to an interest in many genre of sound. R & B , fusion and jazz were, and still is, my favorite. Music has always been part of my day and night. This passion lead me into friendship with Eric Thomas. We frequently listened and discussed jazz artist. REJS Entertainment was born. The dream to promote young artist left the ground when James (partner) joined the group. We all met as teachers for the Trenton School District. I’ve always enjoyed listening to and watching the artists perform. But even more so, checking out the audience tap their foot, bob their head, close their eyes, and stand in ovation. My first exposure to jazz was through my mother Martha J. Thomas who I can recall when I was either 8 or 9 years old living in my birthplace of Newark, NJ playing the music of Miles Davis and Wes Montgomery. In addition to these giants of jazz, my two uncles were self-taught saxophonists which gave me more exposure to jazz on a personal level. As I grew older I went away from jazz and move more towards the sounds of Motown, Earth, Wind, & Fire, P-Funk, Philadelphia International, and Reggae. 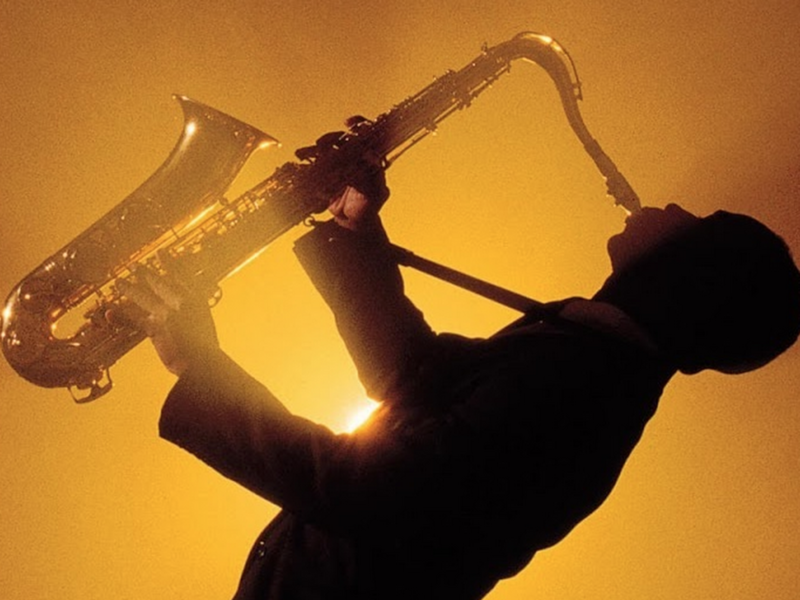 When I entered high school my family and I moved from East Orange, NJto Tallahassee, Florida where my mother, who was a TV news reporter, introduced me to a gentleman who I consider my father to this day that turned me on to John Coltrane and Sonny Rollins. I was never the same after hearing these legends of jazz! I went back to listening to jazz but with a far greater appreciation than I had when I was younger. 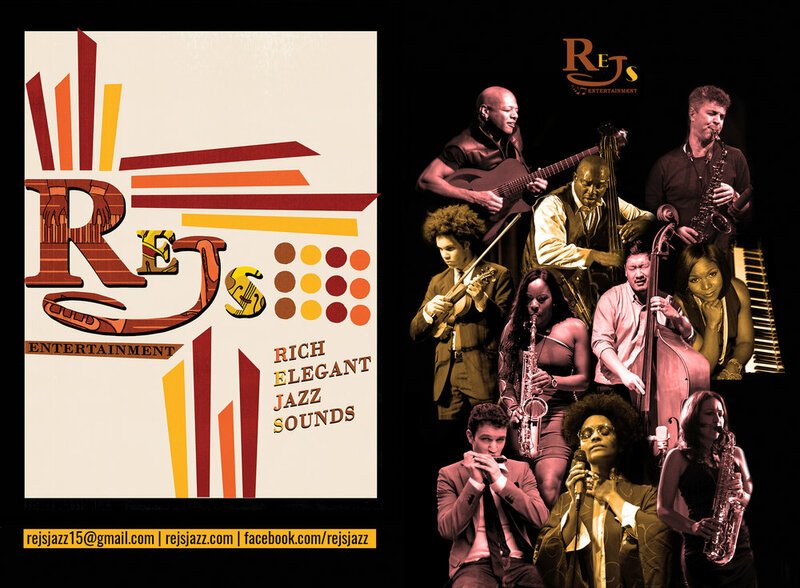 I never thought I would be involve with promoting jazz but here I am a part of REJS Entertainmentproviding events for musicians to incorporate and blend individual expression, spirit and combining that with others to create some of the greatest music out the human experience! I was a shy & quiet, but very active youngster raised by my grandparents in a lower-middle class neighborhood in the 70’s. Born in Bristol, PA, I attended Harry S Truman HS and Lock Haven University and was able to play football at both schools. I’ve met and made many good friends and acquaintances through participation in my favorite sport! I received a Bachelor's degree in Health & Physical Education from Lock Haven University of PA and a Master's of Arts in Education from Gratz College. I have coached numerous sports at many levels and have thoroughly enjoyed my experiences. I’ve enjoyed the relationships that were created with both coaches and players over the years! I never sang or played an instrument, but I have always enjoyed instrumental music. So when a friend introduced me to Jazz in the early 90's I was hooked! I met Eric Thomas & Rich Jackson when we taught together at a new Charter School in Trenton, NJ in 1998. We shared our love for Jazz and even though we only worked together for that school year, we stayed in contact. Years later, we came together to produce a show for a talented young violinist named Scott Tixier. We enjoyed that experience so much that we decided to try it again. We went on to host the fabulous harmonica player, Yvonnick Prene' and the multi-talented composer and keyboardist, Shamie Royston! At that time we made a commitment to begin our journey. We’re passionate about bringing quality music and incredibly talented artists to the central New Jersey area! We will strive to continually evolve and provide the best Audio/Visual experience that our guests will ever experience at a musical performance! Jacque Howard was born in Trenton NJ and grew up in Ewing Township where he also graduated from public school. He is the youngest of 7 children. He lives in Trenton with his wife and daughter. Jacque’s college education and early professional experience started in the garment industry before, during and after he graduated from the Art Institute of Philadelphia. He has worked for several industry leaders such as Jones New York, The Limited Brands and The Gap. After transitioning from the “rag” business Jacque shifted his attention to Community Organizing focusing on building better community relationships. Most recently he was the Executive Director of Urban Mission Cabinet Inc., a non-profit organization committed to developing relationships and creating partnerships between the faith centers of the New Brunswick Presbytery (PCUSA) and the communities where they are located with a focus on the cities of Trenton and New Brunswick NJ. Jacque is the Creator & Host of a weekly program, the “Trenton 365 Show” which airs over multiple radio stations covering the Delaware Valley Region on AM and FM-HD outlets. Guests on The Trenton 365 Show represent the diverse population of people, organizations and initiatives taking place in the Trenton Region. John J Floyd II is a Native to Southern New Jersey, but has been resided in the greater Trenton area since 2008. His Mother, Helen, instilled in him a love for music. Additionally She can be credited for helping John to develop an eye for, as well as a preference for excellence. With this informal training in church, school, and then leading an a traveling A Capella group through high school, John was fortunate to have early opportunities to participate in music at a high level. While in High School, John was a member of the NJ All State Mixed Chorus and the All south Jersey Chorus, and was the Bass Section leader of both choruses in 2008. John Floyd Graduated from Westminster Choir College with a Bachelor of Music in Music Education. While at Westminster John Studied voice with Elem Eley and Dr. Christopher Arneson. He was privileged to perform in this time with the world’s greatest orchestras including the New Jersey Symphony, New York Philharmonic, Berlin Philharmonic, Philadelphia Orchestra, and the Sächsische Staatskapelle Dresden. Also during college John Performed as a member of the world renowned Westminster Symphonic Choir, Westminster Choir and the Westminster Williamson Voices, delivering world premieres, major works, and several recordings. For John, Jazz has always been an interest, and a preferred musical style. In 2015 John met Eric Thomas while teaching with the Trenton Children’s Chorus. Through Eric, John was introduced to REJS Entertainment as a patron. The energy of the gentlemen involved, and musical excellence in the room, and the community response at the REJS events is what drew John to the group. Today, days John is very glad to be a part of the REJS team.